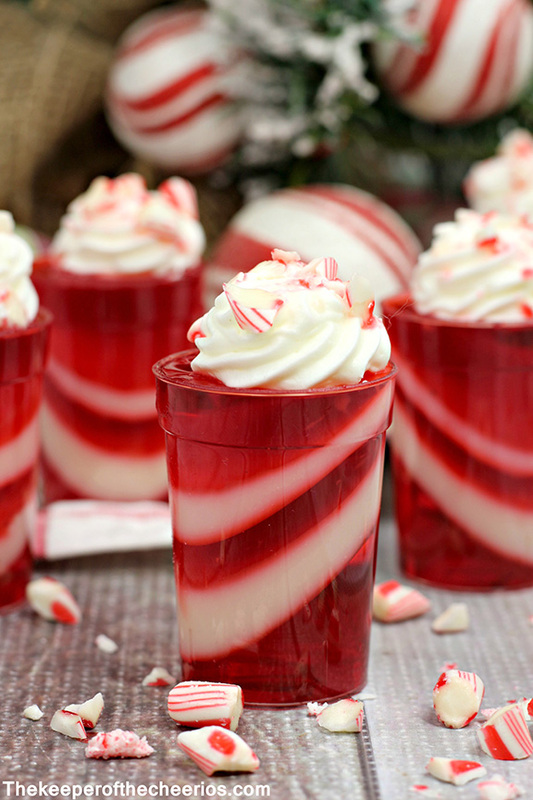 These Candy Cane Jello Shots not only look amazing but taste amazing too, they are the perfect holiday treat/ drink for any Christmas party or get together. 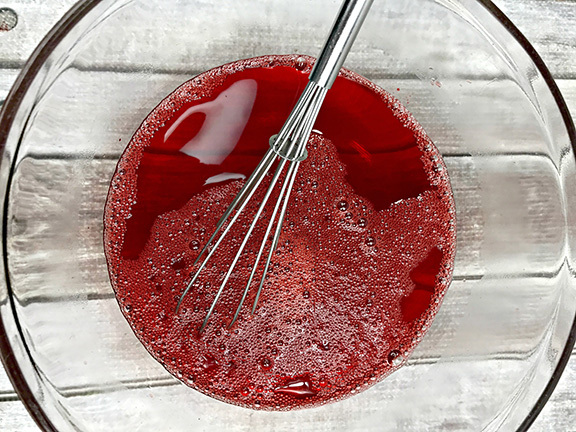 Boil your boxed jello with one cup of water. 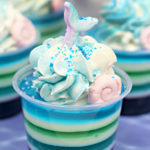 When the Jello is dissolved pour in a cup of "cold" vanilla vodka. Set to the side at room temp. Pour 1 cup water and 3 tablespoon condensed milk into a sauce pan. Add 2 packets of Knox gelatin on top and let it sit for a few minutes. Turn on the stove to medium to high heat. Add about 3 tablespoons of sugar to the mixture. Add 1 cup cold peppermint schnapps. Add 1 tbsp. 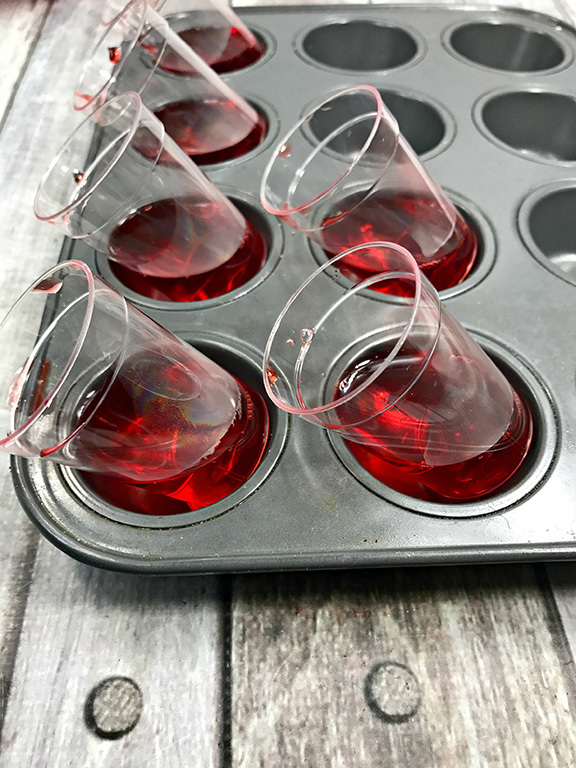 of red jello to your shot glasses and place them at a titled angle in a muffin pan. Wait for the jello to harden (about 30-45 mins). Wait for the jello to harden (about 20-35 mins). 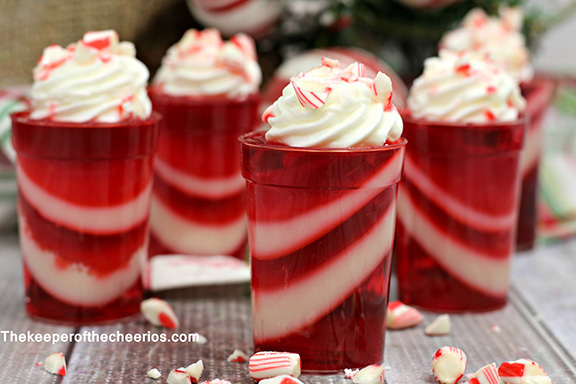 Fill your glass with the remaining red jello and let it harden. 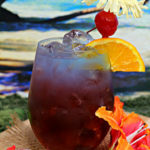 Note: as in any adult beverage you must abide by your countries drinking laws and what the legal age limit is to drink. 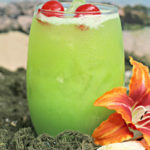 Please drink responsibly!